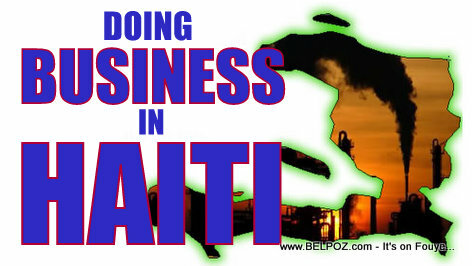 I am beginning to notice that a some people in Haiti ONLY like to get paid, they want money to take care of their business but they don't want to put in the the hours. KREYOL: Anpil moun HAITI, yo sèlman vle TOUCHE, men yo pa vle TRAVAY... Parese pase yo nanpwen... Vrai ou Faux??? Kisa ou panse de sa??? A business friend of mine told me he is having problems with employees at his food distribution warehouse, every time he hires someone to do the heavy lifting that person shows motivation for the first few weeks and then he begins to slack off. "It's almost like, as soon as you give them a smile, they think they are you friend," she said, "and they begin to sit around not wanting to do the work." Another local businessman is having a different problem. Next to his business is a "baz domino" (a spot where people are playing dominoes)... "Every time I am need my employee, I have to KICK and SCREAM and YELL," he says, "Where the hell is he? Watching the domino game instead of of doing what I pay him for." "Some people in Haiti ONLY want to get PAID," he said, "they don't want to work."